Criminal charges in Gilbert, Arizona carry harsh, lasting penalties. Even a misdemeanor conviction leaves you with a permanent record that can be seen by agencies and employers. As such, it’s understandable to feel anxiety and stress about your future, freedoms, and finances. When up against criminal charges in Gilbert, Arizona, it’s advisable to contact a Gilbert, Arizona Defense Attorney who’s familiar with Gilbert Courts and Arizona law. 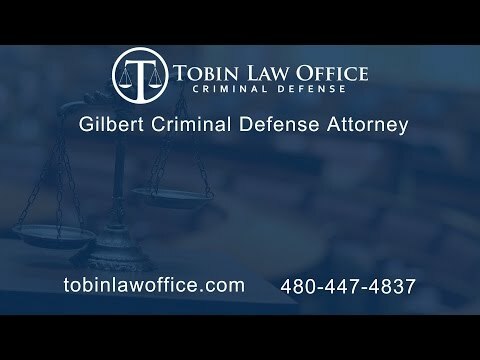 Gilbert, Arizona Defense Attorney Timothy Tobin has practiced criminal law for several years providing clients with excellent and dedicated criminal defense in Gilbert, Arizona. As the former prosecutor of Gilbert’s Highland Justice Court, Mr. Tobin prosecuted Gilbert Police Department and Department of Public Safety cases. Mr. Tobin is experienced and familiar with Gilbert Police, Gilbert Judges, Gilbert Prosecutors, and Gilbert Courts. Located off the US 60 on Stapley Drive, Tobin Law Office is only four miles from Gilbert’s criminal courts. If you’ve been charged with a misdemeanor in Gilbert, AZ, your case will be heard in either the Gilbert Municipal Court or the Highland Justice Court. Both are located in the same courthouse near the crossroads of Warner and Gilbert at 55 E Civic Center Drive. The municipal court is on the second floor and the Highland Justice Court is on the first floor. You can look at your police paperwork to determine which Court you’re in. In most cases, if you were charged by Gilbert Police Department, you’ll be in Gilbert’s Municipal Court. If instead, you were charged by the Department of Public Safety or the Sheriff’s Office, you’ll be in the Highland Justice Court. When faced with criminal charges in Gilbert, it’s unwise to represent yourself. Arizona criminal law is complex, multifaceted, and exacting. When on your own, you quickly find yourself negotiating away your rights and future against trained prosecutors and judges. The government is happy to convict you without concern to your personal circumstances. 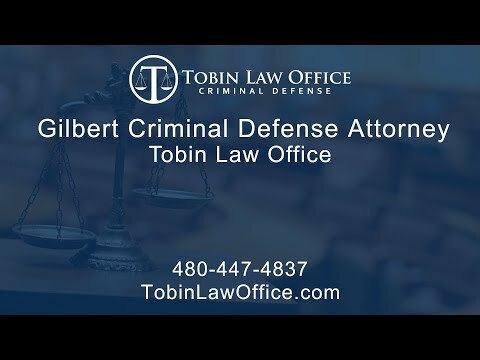 From experience, Mr. Tobin can tell you that the prosecutors and judges in Gilbert are not there to protect your interests; they only see you as a number in a long line of convictions. If you’ve been charged with a crime in Gilbert, you should hire a criminal defense attorney that’s familiar with Gilbert’s Courts and Agencies, as well as Arizona law. You also want a defense lawyer that can put in the energy and time your case deserves. Transparent Flat Rates and Payment Plans: Mr. Tobin represents his clients at affordable flat rates so you know your total price up front. Former Gilbert Prosecutor: Attorney Timothy Tobin was Maricopa County’s Gilbert Prosecutor. He handled all the criminal cases at Gilbert’s Highland Justice Court. Experienced in Gilbert Cases: Practicing in Gilbert’s criminal courts regularly, Mr. Tobin provides skillful and knowledgeable criminal defense. Personalized Service and Excellent Communication: Mr. Tobin handles all aspects of cases from start to finish. Clients don’t go through secretaries, clerks, or support staff to get updates on their case. Instead, clients have Mr. Tobin’s personal cell phone and email for easy access. Free and Confidential Consultations: When you reach out to Tobin Law Office, you’ll be connected with Attorney Tobin to discuss your case in detail. He’ll provide you with professional and comprehensive advice about your case. He’ll also answer any questions to help reduce anxieties about your future. Thank you so much Mr. Tobin! Mr. Tobin was extremely professional!